As MEF gears up for the inaugural MEF Global Forum co-located with the 10th annual Meffys Awards on 14th and 15th November in San Francisco, we have invited the Board Chairs of regional Chapters to share their mobile insights. 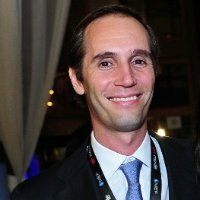 Here Filipe Roup Rosa, Business Development Director of Boku and Chair MEF Latin America discusses the vital role of mobile in the rapidly expanding South American market. Since early days in our industry, innovation was synonymous of Scandinavian and Japanese technology. In the past recent years we have witnessed a wave of companies emerging from North America and dominating the whole mobile ecosystem. Silicon Valley is nowadays undoubtedly the hottest place in the planet to “check-in” and learn how the most innovative and profitable companies in our industry have succeeded. MEF as the leading global trade association for mobile content and commerce, will bring to stage another must-attend event, MEF Global Forum 2013, providing unique value from relevant content and priceless networking opportunities. For the companies based in LatAm this is a once in a lifetime opportunity to be in touch with what will be the future mobile trends and success cases in the region. I look forward to welcoming you in San Francisco at MEF Global Forum 2013! LatAm is one of the fastest growing economies globally. Underpinning this growth is a profound social shift – a growing middle class of new consumers that are eager to enter the digital world. Nonetheless 60 percent of the population still doesn’t have a bank account and there is a potential market of 300 million mobile users that will engage with commerce (banking, transactions and retail) using their mobile phones as their main method of payment. Currently mobile payments are largely conducted via Premium SMS for the purchase of digital and virtual goods. There is also a growing trend towards mobile being used as a part of the shopping experience for price comparison and product research. This certainly reflects the findings of MEF’s 2012 Global Consumer Survey which showed the extent to which mobile media users in Brazil and Mexico are quickly adapting to mobile as an engagement channel. However, this is only the tip of the iceberg. When mobile wallets are launched by the main players (MNO’s and financial institutions) and become a mainstream service for consumers and merchants, the mobile device will effectively become a vital part of the entire payment ecosystem. Since a large part of the population still does not have access to a PC and the fixed line internet, or have a bank account, m-commerce will not only grab a significant chunk of the online transaction market, it will also be the main method adopted for less complex and lower value transactions. As an example, in Mexico, mobile payments are very advanced with money transfer already representing a significant part of revenues for the MNO’s. This has been driven by the large amount of transfers made by the Hispanic communities living in the US who use mobile to send money to their families in Mexico. This market has been helped a lot by a light touch in terms of the Central Bank’s requirements, regulation and taxes for lower level transactions. Today direct-to-bill operator billing is the most dominant type of transaction using Premium SMS (PSMS). However, in the next couple of years, mobile wallets will become ubiquitous driven by the growth in smartphone penetration and as a consequence we will see m-payments and in-app payments overtake PSMS, I believe. In LatAm users are – at least currently – less concerned about data privacy and therefore in some aspects more open to use mobile payments. On the other hand the majority of consumers still have feature phones (only allowing basic payment services via SMS or USSD). Furthermore mobile payments are subject to telecom taxation which for instance in Brazil, represents the highest tax in the world (35 percent taxes on Telecom services). So, although there is willingness, the market still has some way to go in terms of financial barriers. 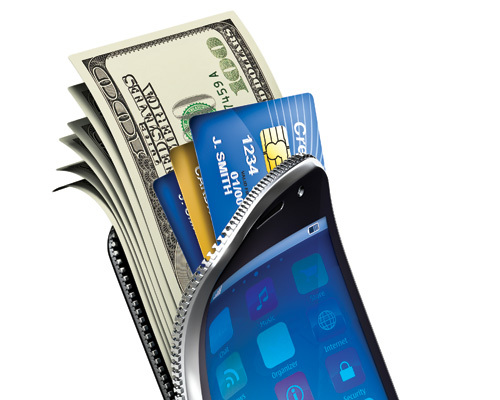 There is a strong commitment from financial institutions together with the MNO’s to make mobile wallets ‘happen’ in LatAm as they see m-payments as a huge new revenue opportunity. To date we’ve seen the arrival of initiatives such as Transfer in Mexico (Telmex with Citi/Banamex and Inbursa) and Wanda (MasterCard and Telefonica) in Argentina, LATODO and Plata (Servitebca with Interbank in Peru, and with Venezolano de Credito in Venezuela, respectively). It is also important to understand that m-payments allow mobile service providers to tap into the retail sector opening up a much larger market than traditional mobile revenue streams. Non traditional mobile players such as Google, Apple and Paypal also understand the size of the opportunity here and are moving fast to establish themselves within the payment ecosystem. [youtube=http://www.youtube.com/watch?v=_4wVQmyFO5Q&w=500&align=right]Mobile payments are highly relevant for online retailers as they need to be able to offer a seamless user experience. Today m-commerce is mainly about searching for products, stores and price comparison on the goods and services that consumers want to purchase. Conversion rates drop dramatically when merchants request users to enter their credit card information to complete a transaction. Once an established m-payment service is in place users will be able to search, compare, read comments and reviews, find the nearest retail outlet, redeem their coupons or discounts and most importantly purchase their products within the same simple environment. This m-commerce experience will help drive higher conversion rates avoiding things like multiple disclaimers, reducing fraud and charge back. The barriers are similar to other regions around the world. LatAm is a growth market with relatively low ARPU and smartphone penetration alongside higher than average taxes for mobile payments. These three things are of course changing but it takes time. Regarding regulation and standards, LatAm in most respects is less complex than Europe and the US and is able to build on the lessons learnt elsewhere whilst adapting to local regulatory needs although taxes and infrastructure costs remain an issue which require more collaboration between government, MNO’s and financial institutions. It is crucial to have an active and impartial global trade association to help the companies in the mobile value chain work together, monetise their services, protect revenue streams and overcome some of the barriers in mobile payments. For example, in Brazil, MEF LatAm has been instrumental in establishing a Unified Code of Practice which is now in its third iteration and adopted as the framework that mobile content aggregators must follow in order to offer VAS services in partnership with Brazilian carriers. Other MEF LatAm initiatives include providing crucial market data and analysis of mobile consumer behaviour with our annual Global Consumer Survey as mobile payments, m-commerce and m-banking have a central role in how this market matures. The mobile content and commerce ecosystem is constantly evolving with new players entering the market. MEF’s global community helps such companies accelerate expansion into ‘new’ growth markets including LatAm through access to new verticals and markets, inward trade development and thought leadership. MEF Global Forum 2013 will bring together an international audience to discuss and celebrate mobile innovation, growth and monetisation with confirmed speakers from over 20 countries including representatives from Facebook, Real Networks, Boku, Telefonica Digital, Evernote, Shazam, Visa, Mozilla, Deutsche Telekom, Singtel, Innov8, Verizon and Berkeley’s Centre for Entrepreneurship & Technology.